The Nikon CoolPix S70 is a compact, narrow-profile point-and-shoot digicam that along with its pocket-friendly design features a 12.1 megapixel CCD sensor and a bright, 3.5" OLED Touch Panel screen that allows you to adjust the exposure and tonal values, as well as focus the lens and fire the shutter by merely tapping on the camera's screen. The S70's 5-way Vibration Reduction (VR) system compensates for up to 4-stops of camera shake when shooting at longer shutter speeds. The S70's VR system also increases the camera's shutter speed and adjusts the sensor's ISO sensitivity levels as needed under low-light conditions (up to ISO 6400). For trickier shooting scenarios, the camera's Best Shot Selector (BSS) automatically captures up to 10 rapid exposures and selects and saves the best of the lot. 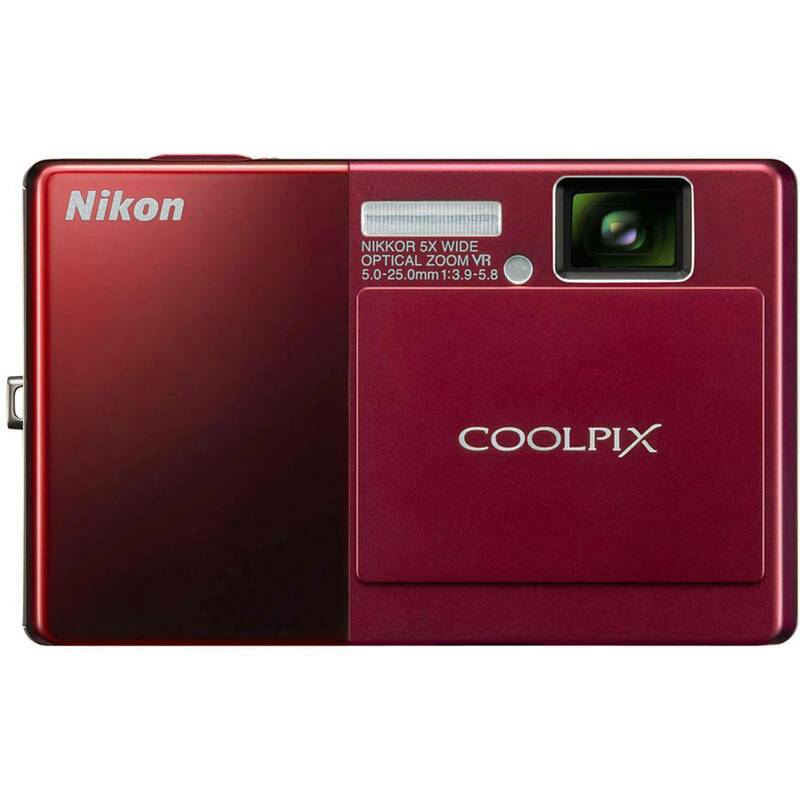 Aside from terrific still images, the CoolPix S70 can also capture 720p video clips @ 30fps with sound, which can be played back on your computer or TV for all to enjoy. In the creative department, the S70 features an Auto Scene Selector, which can automatically detect up to 16 picture scenes and set the camera accordingly. And for shooting portraits, the CoolPix S70 features a 3-level skin softening mode, in-camera red-eye reduction, Face-priority AF for up to 12 faces, as well as Smile Shutter and Blink Warning functions to ensure everybody is smiling and wide-eyed in every picture. Box Dimensions (LxWxH) 8.0 x 5.2 x 4.0"